Are you a lunch packer? An aspiring lunch packer? Or a skeptic of lunch packing? 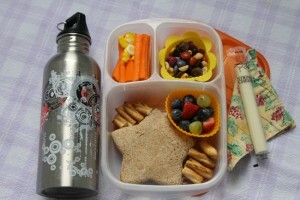 Do you pack your own lunch, or your children’s lunch? 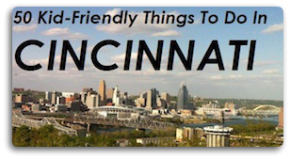 If you answered yes to any of these questions you should take a few minutes to read the guest post that our own Family Friendly Cincinnati contributor Katie wrote about lunch packing in her home. The post gives insight into why she packs, how it has helped her family be more “green”, and gives some tips for making lunch packing happen. We want to share a bit of the post with you, but we strongly suggest you read the article in it’s entirety on the Easy Lunchboxes blog. 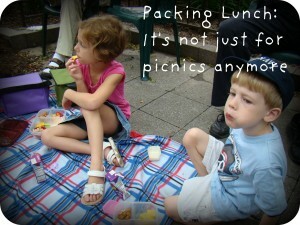 The lunch-packing story of our home began years ago, before the munchkins arrived. I worked as a school teacher and wasn’t a big fan of cafeteria lunches, so my options were packing or purchasing. And I found myself eating out for lunch quite often. My husband also bought his lunch frequently. Because hey, we didn’t have kids yet. Yes we had bills, but it seemed less extravagant to buy ourselves lunch back then. With children come increased bills, and a smaller budget. So after four children and my decision to become a stay at home mother our budget is even tighter. When our eldest daughter started Kindergarten two years ago I made up my mind to pack her lunch for a variety of reasons. And I did a pretty good job of packing it nearly every day. Then when she started 1st grade I packed almost every single day for the first half of the year. Then in January of that year I had my fourth baby and lunch-packing fell by the wayside in favor of the convenience of just having her buy lunch at school. Until the day last spring when she pointed out to me: “Mom, you used to pack my lunch every single day, and now you never pack it. I miss that”. And the packing started back up. This school year Max started Kindergarten, so I had two in school, and it seemed silly to spend so much money each week on lunches for both of them AND my husband. So I decided to start packing lunches everyday (ok, not really every day, but as often as I could!). To read more about Katie’s adventures in lunchpacking visit It’s Not Just Lunch, the Easy Lunch blog for those who eat. getting familiarity everyday by reading such good artiicles or reviews. too load properly. I had been wondering if yoour web host is OK? high quallity score if ads and marketing with Adwords. more of your respective interesting content. Make sure you update his again very soon. If that part of your plumbing is clear, then you’ll need to use a small auger. Isn’t it fascinating to think that a video camera line can go down a drain to see what is clogging it up. Normally kitchen sink drains will have a basket that will lift out to provide better access to the drain pipe.